Additionally, TREA has published an article in the Estonian Biomass Association’s annual magazine ‘Combustible and non-combustible energy resources 2018/2019‘. The article is in Estoniana and the whole issue is published on the homepage of the Estonian Biomass Association (external link). 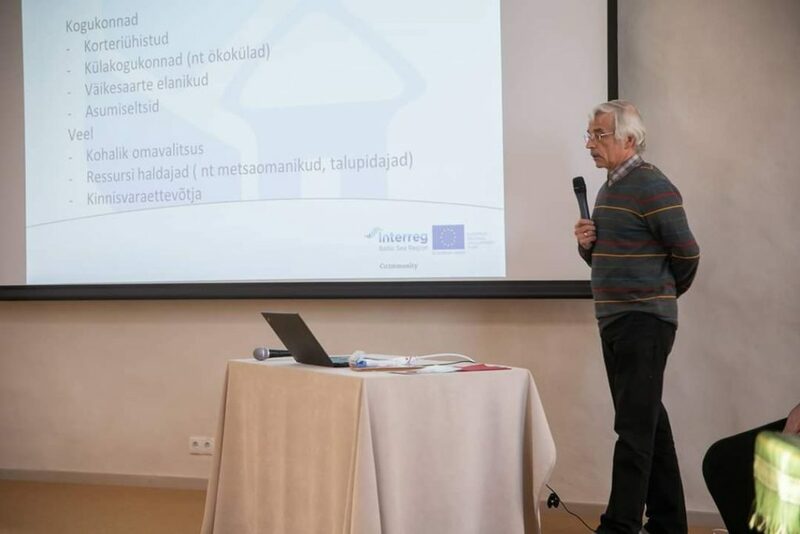 In December 2018, two Tartu Regional Energy Agency (TREA) employees met with five community members of Mõisamaa village of a Väike Jalajälg, which translates to “small footprint” community. Mõisamaa village is a RENCOP community and is one of ten communities taking part in the mentorship program within Estonia. 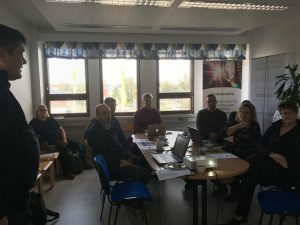 The ERDF funded Estonian Energy Cooperatives Mentor Programme supports Estonian start-ups and their development through workshops, peer-to-peer learning, and mentorship programs. The community is home to 20 people, and they are currently exploring alternative forms for the community’s future energy production and consumption. It is for this reason that TREA visited them. This informal meeting was a way for community members to establish initial contact and trust and for the TREA employees, and for the TREA employees to gather a preliminary understanding of the community’s day-to-day activities. Currently all buildings in Mõisamaa are locally heated by boilers and regular wood logs stoves totalling 28 stoves, with electricity being provided by the public grid. The community’s vision is to replace oil boilers with more sustainable solutions, varying from building renovations, to PV stations, to bio-gas. TREA will be working with the community to develop the best solutions to satisfy their energy needs. Mõisamaa’s main motivations and drivers for a community energy project is to reduce their energy costs and to become independent from energy imports and the public grid. As per the discussions, the community can also envision selling their sustainably generated energy to close neighbours, however this is not their primary goal. On 18th October 2018, FNEZ has presented the RENCOP model and promoted social dialogue at a conference in Wierzchosławice, Małopolska. Energikontor Sydost works for increased production of renewable electricity. We therefore invite you to a meeting where the apartment owner association Taube 31 in Karlskrona tells about the experiences of its new solar cell system from the first ideas to the results after a few months of operation. We will also listen to a representative from the Affärsverken on their role in such projects. Find the info in Swedish here. 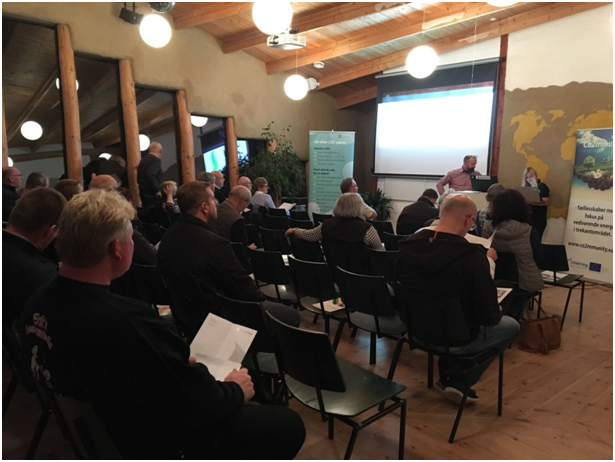 The 30th of October the first meeting out of four, about alternatives to oil furnaces was held in the village Brenderup, in Middelfart Municipality. The other three meetings are planned in Fredericia (31st of October), Kolding (5th of November) and Vejen (6th of November) Municipalities. Some of these municipality’s are associated partners in co2mmunity, and the collaboration is a witness of spreading, and sharing, experiences with Community Energy projects. The goal of this campaign is to support citizens to change from a fossil fuel based heating solution to a heat pump, and by purchasing heat pumps collectively to reduce the investment cost. The topics of the meeting in Brenderup were: Alternatives to oil furnaces, common purchase of heat pumps, energy renovations and heat pumps on subscription. 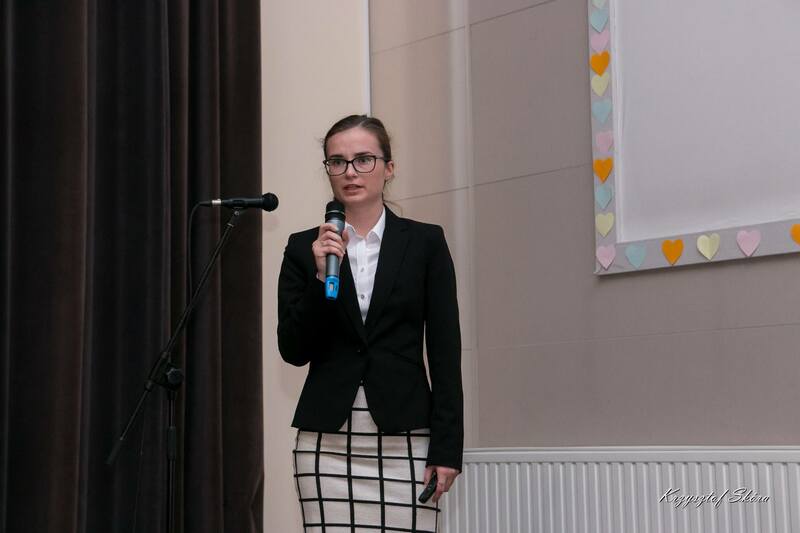 The whole evening, experts were present and ready to answer any questions, the citizens might have. As announced here the Energy Agency for Southeast Sweden has held a RENCOP meeting for appartment building owner associations in Växjö on the 20th September to inform them on the possibilities for installing their own solar PV. About 40 people from several appartment building owner associations gathered at BRF Lyckansberg. Anders Lundgren told about his owner association’s experiences with its own solar PV installation, that was installed in May. Since then the facility has generated 42 218 kWh of electricity that were used in the common areas, laundry rooms and especially for lighting. 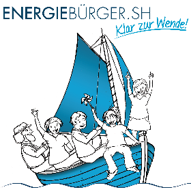 Therewith, the goal of generating 53,000 kWh / year is almost reached and the associations’ members are very satisfied.